At Parkside Westside, we are glad for the work of others in our community that help share the gospel and show God's love. One such organization is Building Hope in the City whose mission is to "advance the good of the city; magnify the mission of Jesus; and, unleash the capability of underestimated people." Through a variety of ministries, BHITC serves people on the near-westside of Cleveland and is working to transform this community into a restored and vibrant neighborhood. 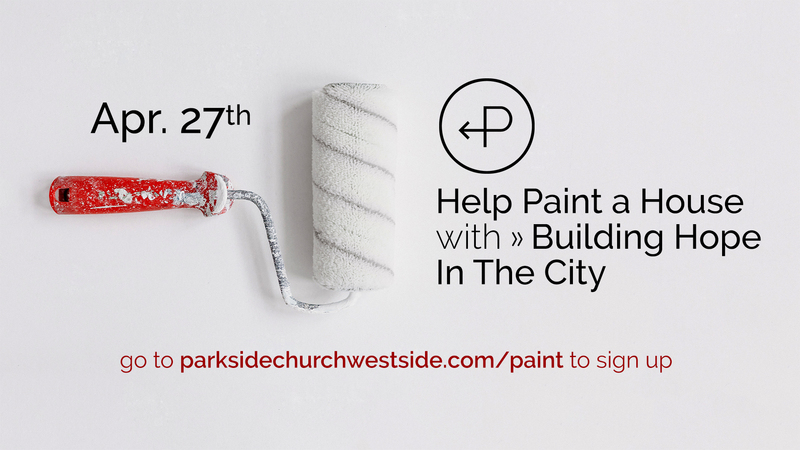 On Saturday, April 27, from 10am-4pm, BHITC will be hosting a house-painting project that needs 7-8 volunteers. If you'd like to help, click the button below to sign up and someone will follow up with you with more details. Can't make it that weekend? More service opportunities will be announced later this summer, so stay tuned!